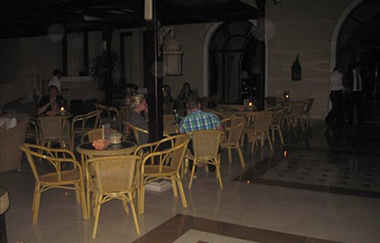 At Jaz Hotel Group, we are always keen on engaging positively with our guests. 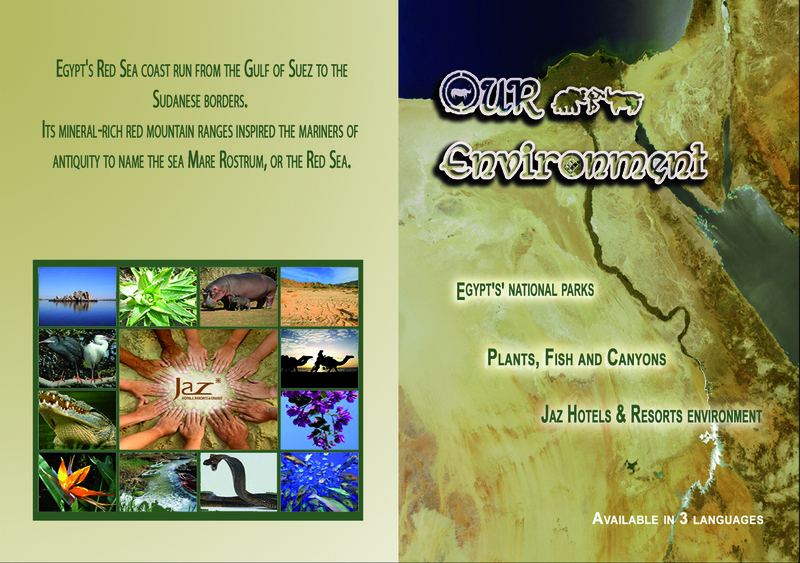 And one of Jaz Hotel Group’s strength points is its environmental vision & efforts in conserving it. 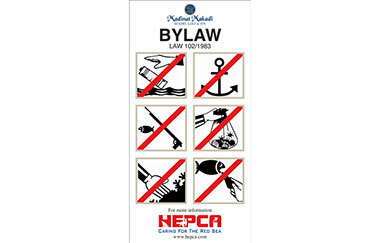 And to engage our clients & staff all the same in this important mission of ours; we educate our guests on our philosophy and different conservation actions through our environmental boards, flyers, stickers, questionnaires and booklets. 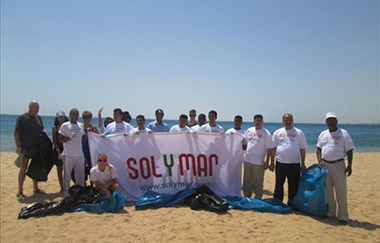 Educate our guests about our environmental policy, our activities, international environmental events calendar, general information about climate and biodiversity changes and their future consequences. 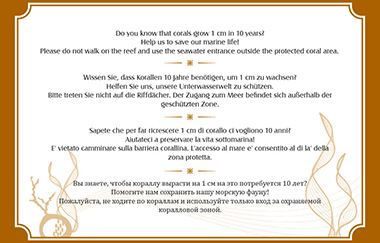 During each event, a lot of promotional and awareness collaterals are distributed throughout the hotels to make sure that our guests are aware of the date and time for maximum participation. To add some excitement to the events, we always try to include some fun activities during the day for our guests, to further enjoy e.g. snorkeling and diving on the Clean Up Day, where guests are allowed to clean up the sea water while practicing two of their favorite water sports. 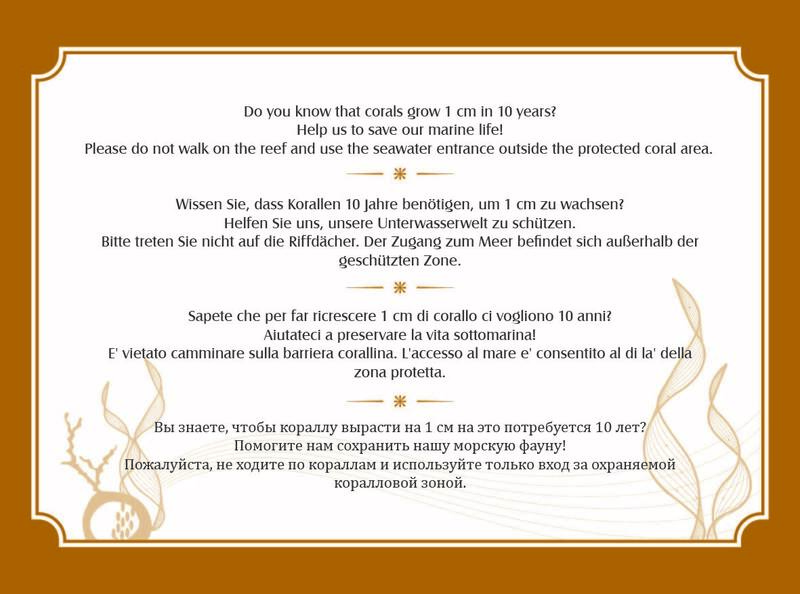 It was a very important step to consider our guests feedback in our future plans, so we tried an on- line survey asking for the guests opinion in our environmental activities. 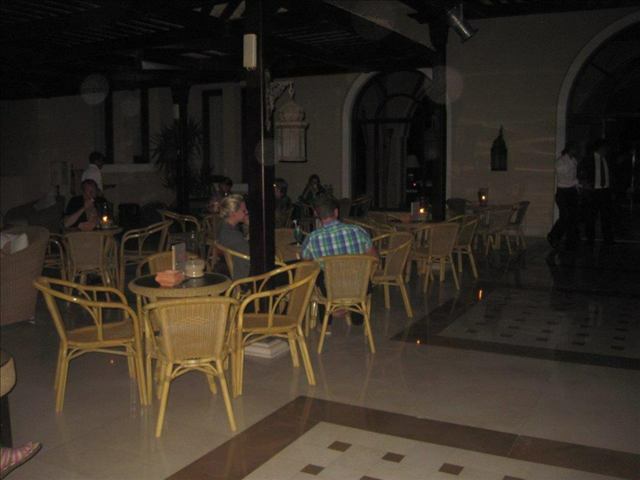 Followed by an in-house questionnaires for guests while staying at our hotels. This step helped us collect and gather more & new ideas on how we can improve our conservation approaches and make them more appealing for our guests to part-take in. This is an informational/instructional flyer that we put on our boards at the hotels and in the form of stickers that are distributed on our beaches for guests. 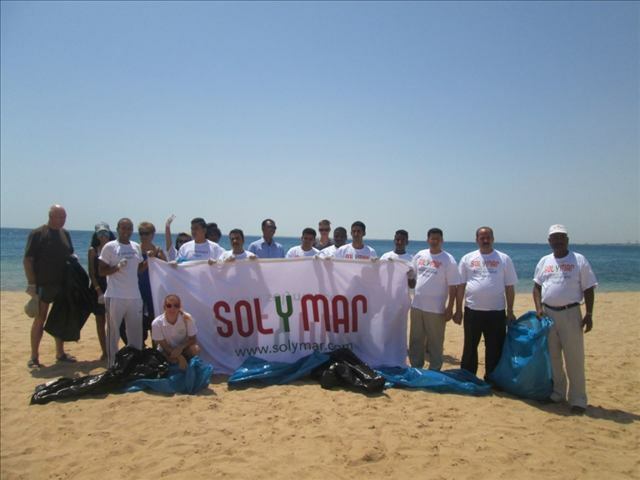 The aim of which is to educate them on the importance of the marine life and encourage them to refrain from any harmful behaviors that might damage the sea corals or creatures. 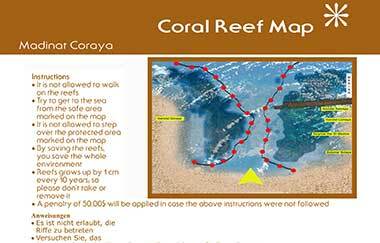 Saving and protecting the coral reefs is one of our main environmental approaches, accordingly these maps had to be added in front of the beaches that contain reefs. 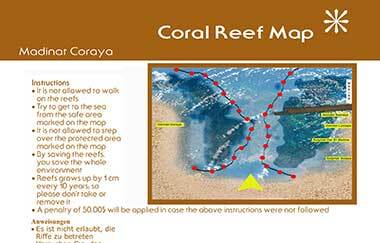 These maps indicate the reefs borders, the safe to swim areas where there would be no harm to the precious reefs. 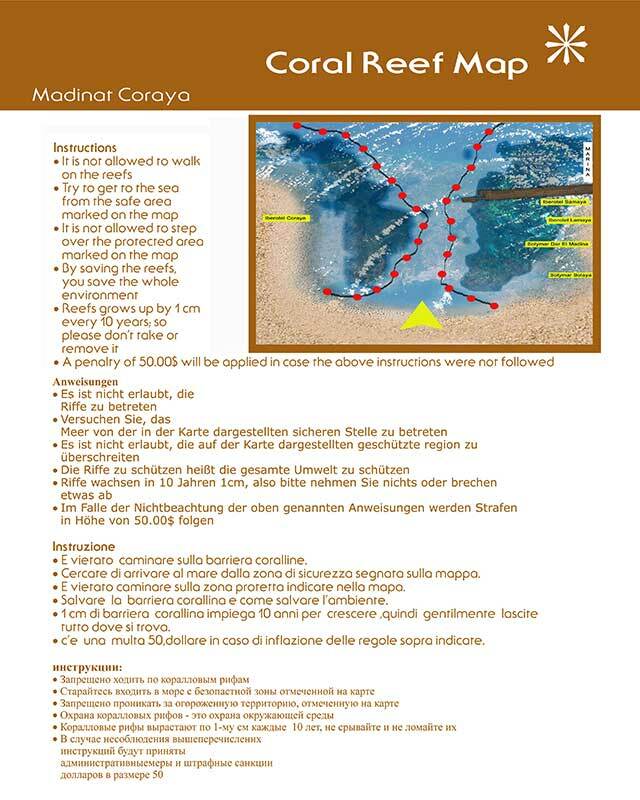 These maps were also customized into flyers and they are regularly distributed inside guest rooms. A brief about our activities, programs with some dos and don’ts tips in the form of flyers that are distributed inside the rooms for the guests. In addition we create documentary movies from our library in different languages to give our guests deeper insights into our sustainability world. Produced in three different languages i.e. 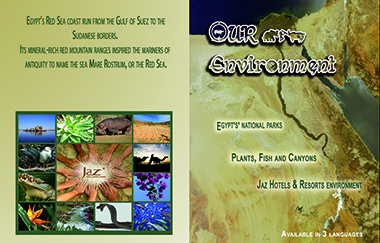 English, German & Russian, our environmental booklet contains details on the company’s environmental policy, actions, some general information about Egypt’s environmental characteristics, natural resources and how we help in preserving them etc… was very well received by our clients and business partners. 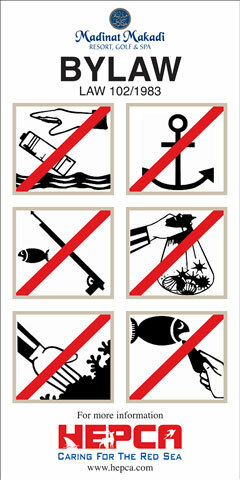 Raising a new generation that is environmentally cautious is one of our dreams. We strongly believe that they too must share in our environmental activities and general information and basics like endangered animals, wastes and resources etc… and accordingly tried to sum this information up for them in an interesting way that would get their attention i.e. puzzles and coloring drawings. 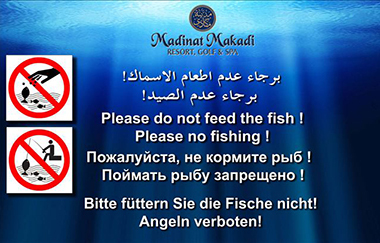 The booklet is also available in 3 different languages English, German & Russian.